What do you get when you combine art, technology, and the Five Books of Moses? The People’s Torah, a three-dimensional, interactive rendering of the Torah, to be written by over 300,000 global participants. 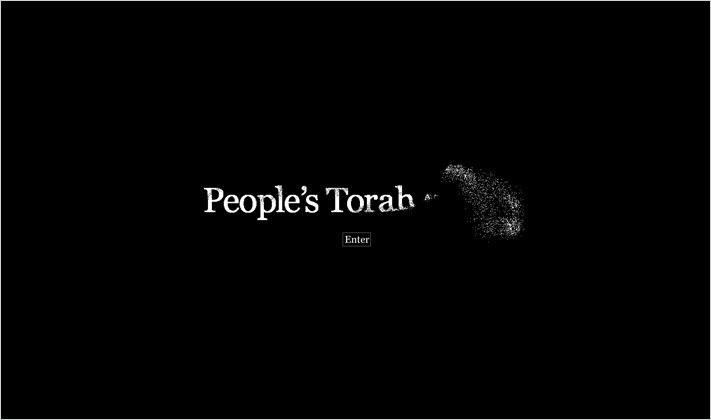 People’s Torah is a year-long interactive installation and net art project created by Cabengo, in partnership with Studio Mobile. It was commissioned by the Contemporary Jewish Museum in San Francisco, as part of the exhibition, As It is Written: Project 304,805. The Torah is the holiest object in Jewish life, and the writing of the Torah, an ancient and sacred undertaking. Unlike the Torah, which is still written as it was written more than 3000 years ago ­by the hand of a specially trained scribe, ­People’s Torah is being “written” collectively, by online and museum visitors. Every Torah has exactly 304,805 Hebrew letters, and it said that each of these letters corresponds to a soul. So, too, People’s Torah will have 304,805 Hebrew letters. Each letter will correspond to an individual and be rendered from (an image of) that individual’s hand. Visitors are invited to become one of the letters in People’s Torah by contributing images of their hands, symbolizing individuality, expression, and connection. Each image is displayed on a touch screen table in the museum, along with other contributors’ hands. 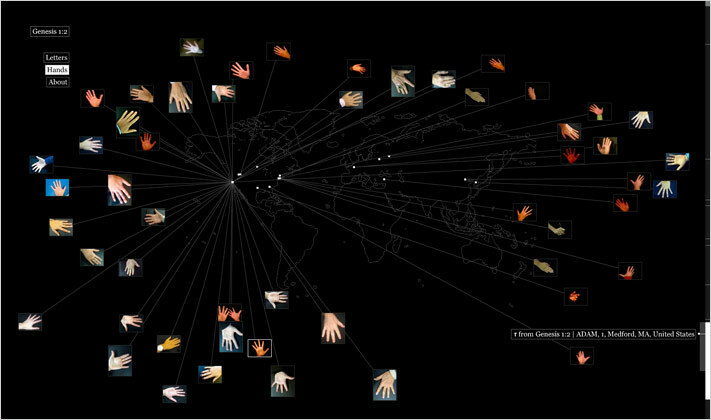 As soon as a museum visitor “touches” the hand image, it is transformed into a Hebrew letter via a custom 3D engine that maps the image into particles and the particles into the next available letter. In this way, every letter represents a discrete connection between virtual and physical worlds. People’s Torah is a luminous universe of parts, always in a state of becoming whole. It is a visual meditation on immanence and transcendence, autonomy and community, figure and ground. 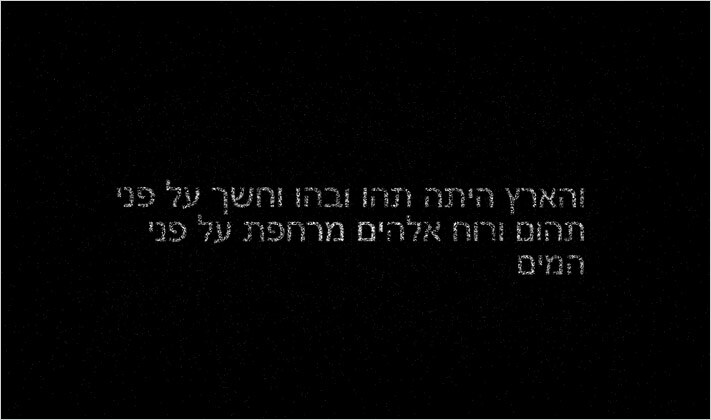 A communal Torah for the 21st century.